Attend this one-day intensive and highly practical Compliance Certification Course to understand, plan, develop and manage compliance programs of Non-Bank Financial Institutions (Foreign Exchange/Payment Institutions/Money Service Businesses). Attend this one-day intensive course to understand the international money transfer & payments industry, the global volumes, corridors, pricing tendencies, channels trends, market leaders, complimentary services, etc.. The Pre-Conference International Money Transfer & Payments Compliance Certification Course has been developed for IMTC by Connie Fenchel, subject matter expert, consultant and trainer, with years of experience in the Law Enforcement, Regulatory and Business world. Build important technical skills and strategies to manage industry requirements while enhancing the knowledge and necessary awareness to handle the challenges that AML/CTF/Fraud compliance presents to Financial Services Institutions (Payment Institutions/Foreign Exchange Brokers/Money Service Businesses/Money Transmitters). 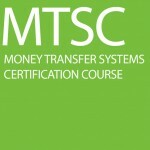 The Money Transfer Systems Certification Course has been developed by Salvador Velazquez and Hugo Cuevas-Mohr, partners at Mohr World Consulting and experts in the field. Other experts are always invited to explain different aspects of the industry and share their own views on the trends and tendencies in the marketplace..